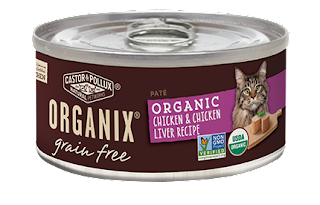 Living a Fit and Full Life: Keep Your Cat Healthy with Castor & Pollux ORGANIX® and PRISTINE® Cat Food! 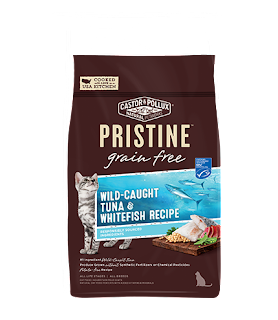 Keep Your Cat Healthy with Castor & Pollux ORGANIX® and PRISTINE® Cat Food! At Castor & Pollux we care about your pet’s food’s food. Purposeful pet food doesn’t happen by accident. We scour the earth to carefully select the best organic and responsibly sourced ingredients to create the most nutritious recipes for your pet’s health. For example, the fruits and vegetables in ORGANIX® and PRISTINE® are sustainably grown without chemical pesticides, synthetic fertilizers or artificial preservatives. And, we are proud to have our PRISTINE fish recipes bear the blue MSC Certified ecolabel from the Marine Stewardship Council for using sustainable fish. That means fish in these recipes has been responsibly caught by a certified sustainable fishery. These fisheries ensure that fish are caught at levels that allow fish populations and the ecosystems on which they depend remain healthy and productive for the future. That’s what purposeful pet food is. 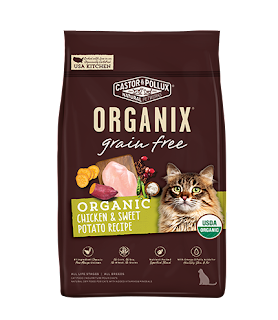 As the leader and maker of America’s #1 organic pet food, Castor & Pollux is setting the new standard with the introduction of the most comprehensive portfolio of purposeful pet food. Ask any cat: it doesn't matter how good a cat food is if it doesn't taste good, too. That's why we've created this grain-free, certified-organic canned food that cats love. This recipe delivers complete nutrition, including omega-6 and 3 fatty acids for healthy skin and fur, plus extra fiber to help control hairballs. No chemical pesticides, synthetic fertilizers, artificial preservatives, growth hormones or antibiotics in organic ingredients ever! 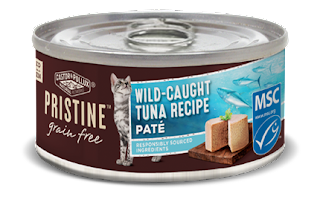 Keep your cat healthy with Castor & Pollux ORGANIX and PRISTINE cat food! As a long time cat owner, I know the importance of feeding my cats quality food. 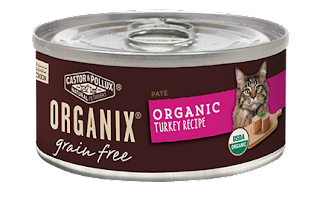 Castor & Pollux ORGANIX and PRISTINE cat food isn't filled with cheap filler grain like most pet foods. It's filled with quality ingredients that you pets will love. 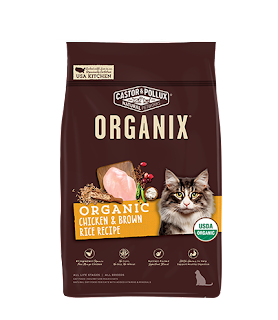 I have two cats who are pretty picky about their food and sometimes snub their noses at other pet foods that I've tried in the past. With Castor & Pollux ORGANIX and PRISTINE cat food they couldn't wait to dig in. Literally, they couldn't wait! I put the Castor & Pollux ORGANIX and PRISTINE cat food in the laundry room which is also technically their room and they literally tore through each bag to try them out while I was away. They seem to really like both Castor & Pollux ORGANIX and PRISTINE cat food and I'v even noticed that we haven't had any hairballs since switching to this cat food. 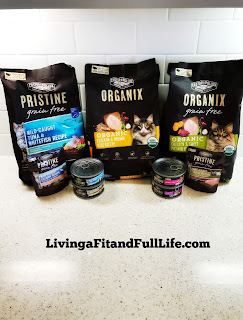 My cats also really love Castor & Pollux ORGANIX and PRISTINE canned cat food and I love adding a little variety to their diet! 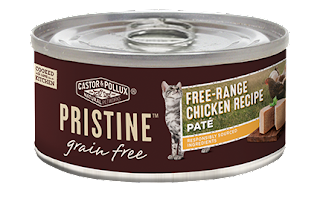 Castor & Pollux ORGANIX and PRISTINE cat food is the perfect way to keep your pets happy and healthy! Click HERE to find a store near you that sells Castor & Pollux! Click HERE to learn more about Castor & Pollux! Follow Castor & Pollux on social media!